A new report in the Journal of Nuclear Medicine has suggested that it may be time to start looking seriously at whether the combined [18F]NaF/[18F]FDG PET/CT scan may be significantly better than the traditional [99m]Tc bone scan in evaluation of risk for or the actual presence of metastasis in men with prostate cancer. With respect to skeletal (boney) lesions, the [18F]NaF/[18F]FDG PET/CT scan had the highest level of sensitivity and accuracy in identification of metastases. With respect to extraskeletal (soft tissue) lesions the sensitivity and accuracy of the [18F]NaF/[18F]FDG PET/CT scan and the whole body MRI scan were closely comparable. [18F]NaF/[18F]FDG PET/CT scanning is better than either whole body MRI scanning and [99m]Tc scanning alone in the evaluation of extent of skeletal metastasis. [18F]NaF/[18F]FDG PET/CT scanning and whole body MRI scanning were both better than [99m]Tc scanning in the detection of extra-skeletal metastasis that may change the management of patients with prostate and breast cancer. [18F]NaF/[18F]FDG PET/CT scanning offers similar diagnostic abilities to the combination of whole body MRI and [99m]Tc bone scanning in patients with prostate and breast cancers. However, they are careful to note that additional studies in larger numbers of patients would be needed in order to confirm their preliminary findings. They also note that, ideally, such larger studies would best be carried out using the most recently introduced generation of simultaneous PET/MRI scanners. From a clinical point of view, there is a message here for current prostate cancer patients about the rapid development of PET/CT and whole body MRI scanning as a potentially better alternative to the older type of bone scan if the relevant technology is relatively easily accessible and if one’s insurance coverage will deal with cost-related issues. 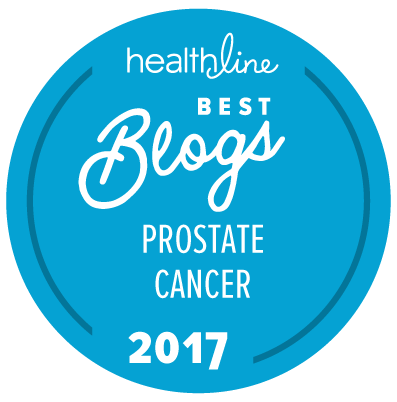 This may be particularly important for men with only one or two small, early stage metastases (to bone or to soft tissue) that may not be evident on a traditional bone scan. On the other hand, there is also yet another major cost issue here from a societal perspective. Being able to provide all prostate cancer patients (and breast cancer patients) who need and currently get traditional bone scans with [18F]NaF/[18F]FDG PET/CT scans or with whole body MRIs on top of the current bone scans is going to cost us a lot of money over time! Do you know what they used as their “gold standard?” How did they know the true number of metastases, which metastases each test failed to detect, and which of the detected metastases weren’t really metastases? Stanford is a leader in new detection methods including the PET/MRI, and novel PET indicators made from positron-emitting radionuclides attached to molecules with affinity for PSMA and bombesin. I suppose they weren’t used in this study because they were looking for indicators that could find both breast cancer and prostate cancer metastasis. I think you are raising an important cost issue. Does it make sense to use bone scan as the first-line screener, or should PET be used so that patients with small metastases are spared unnecessary, expensive, and QOL-sapping radical treatment? I hope someone will do a full economic analysis of this question. I have not seen the full text of the paper, which may answer most of your questions, but my assumption is that the standard bone scan was being used as the baseline “gold standard”. I second Allen’s question. To be able to report sensitivity (as usually understood), they would have to know (a) how many metastases were present but not detected by any of the tests, and (b) how many of the “detected” metastases were actually false positives. So I would like to know how they are defining “sensitivity” and “accuracy”.